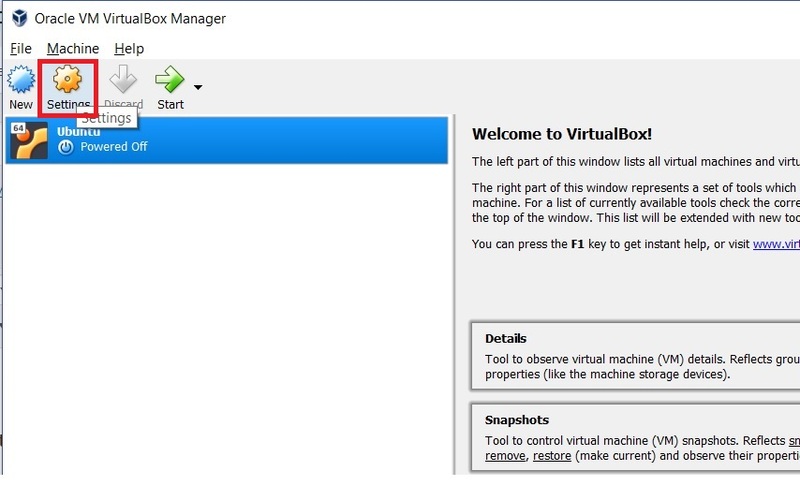 Assumption: Using Oracle Virtual Box 5.2.6 for managing VMs. Typically we might come across a need to move vdi files to different disks or drive for accommodating more memory needs. This can be done using the following steps. make sure that VM is in powered off mode. 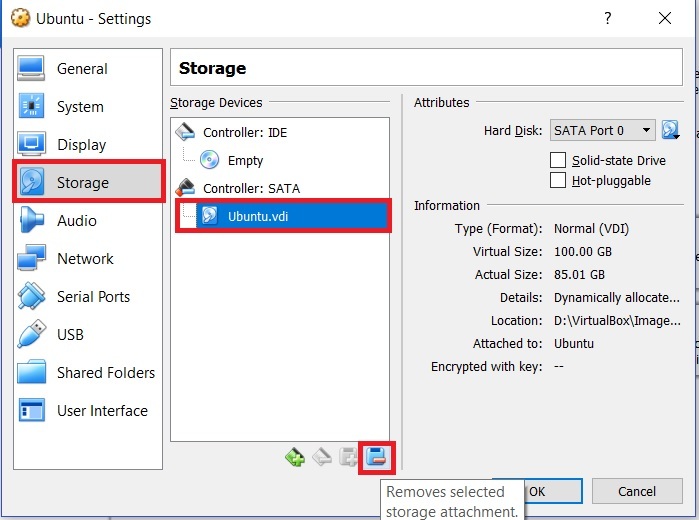 First the vdi needs to be detached from the VM as shown below. Go to File-> Virtual Media Manager and remove the vdi which we are planning to move. Now move the vdi file to desired location. In my case, the initial location of the vdi is C:\Users\svgonugu\VirtualBox VMs\Ubuntu and i moved this vdi to D drive. 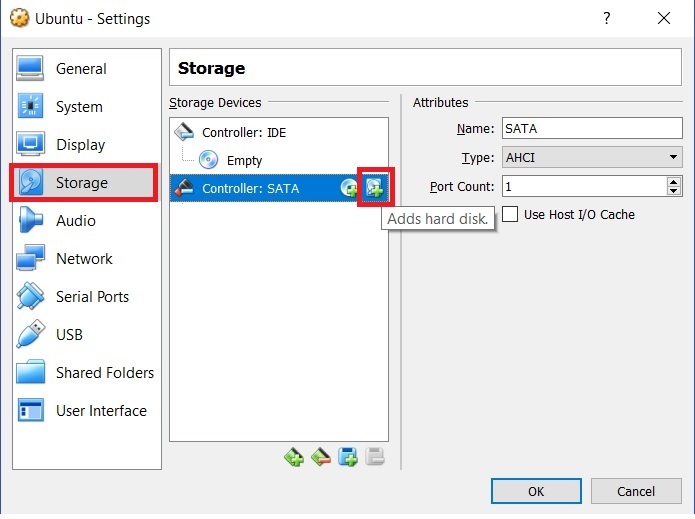 Again go to VM Settings -> Storage and click on add hard disk button high lighted below. Choose the above vdi which is moved to D drive and click OK. Now you should be restart the VM and proceed with your work with no issues. There are so many instances where we might want to increase the RAM allocated to VM after the creation typically determined by the kind of usage. 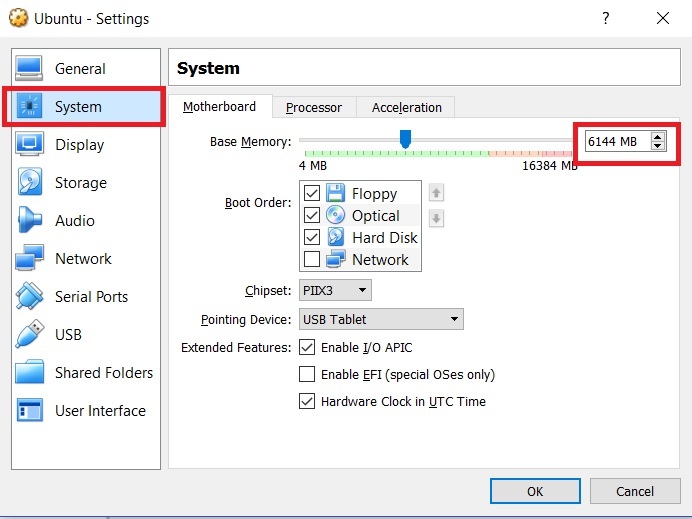 We can modify this in VM settings using the steps below. Make sure that VM is in powered off mode. Navigate to System -> Motherboard and increase the base memory value as required and click OK.
You can verify this memory settings by issuing cat /proc/meminfo or using free -m command.